It is important to ensure that your home is prepared, before bringing your cat or kitten home for the first time. You need to be sure that when your new cat has arrived at your home, that you will be secure in the knowledge that you and your home are ready for it, and you can spend time playing together and getting to know each other in a comfortable environment. A good thing to do, especially if you have never owned a cat before, is to get down on the floor and survey the room from the kitten’s perspective. Look at the things that may attract the cat. Check for potential danger to the cat. Using a flashlight, check underneath the sofa and look in smaller areas that a human cannot easily reach, but might be tempting for a cat to explore. Begin by moving any small breakables, irreplaceable objects, or valuable items out of reach. Remember that cats can climb or jump, therefore out of reach is a term loosely used when considering cats. When possible, store valuables away in a closed container. Hidden dangers are also everywhere, but one important factor to remember, which many home owners do not realize, is poisonous plants. Cats are often attracted to movement and the leaves on a plant move with the slightest breeze resulting in them investigating the plants by biting as well as pawing. If you have poisonous plants in your house, then be sure to move them to a different part of the house or hang them out of reach. Remember that cats are also inquisitive about anything that hangs or swings such as blind cords, phone cords, or electrical cords. Cords must be moved out of reach or fastened securely. It is also vitally important to ensure that there are no pest poisons that a curious kitten can find. 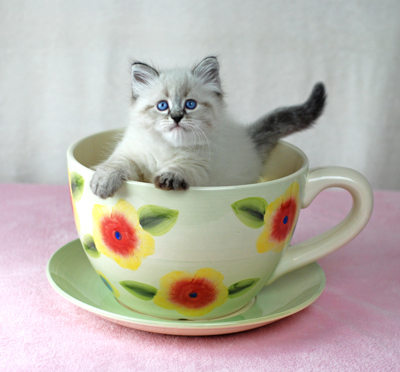 Make sure there are no dangerous objects or substances the kitten may get into on shelves, kitchen counters, cupboards and hidden corners and nooks. Secure window blinds cords and curtains to prevent the kitten from tangling himself up or scratching at curtains. Vacuum the floors and look out for any small objects a kitten might eat. Keep the lids on garbage bins. Cover unused wall outlets and all electric cords. Use insect repellents that are safe for pets. Use child-proof cabinet locks on cupboards, drawers and cabinets. The importance of a “safe room” for a newly adopted cat can’t be emphasized enough! When the kitten has the run of an entire apartment or house there are too many options and places to hide, experiment and get confused. A bathroom is the easiest to set up as a kitten safe room. You will need to put any draping shower curtains up over the rod, take toilet paper off the roll, learn to always close the toilet lid, and remove soaps and cleaners. Put a scratching post near the litter box. A tall, sisal covered post is recommended. Also recommended is a second, ripple board type scratching box. These are quite affordable and adored by cats and kittens. You want to give your kitten the opportunity to learn what the things it should scratch before trying to teach what it should not scratch. Make the safe room fun with some toys and an empty cardboard box. Cats love to play in cardboard boxes! When your kitten is using its litter box faithfully and has bonded with its scratching post, you can increase her territory. Before increasing her territory you much be sure to kitten proof new areas of the home! One place that should always be considered as off-limits is the garage, as there are too many chemicals and hazards in there. Food and water dishes as well as a litter box and litter are obvious essentials. 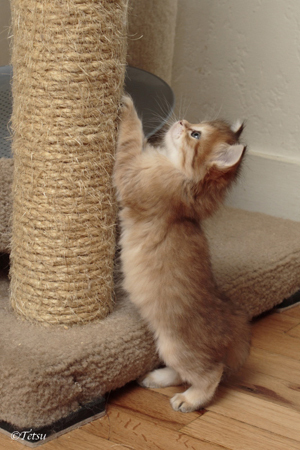 Scratching posts are a very good investment and they are available in various styles and sizes. Cats instinctively scratch to exercise their shoulder and arm muscles, stretch, and to keep their claws sharp for catching prey. A good investment is a cat tree/condo and the taller the better! This will provide not only fun and exercise for your kitten, but it also provides a place for your kitten to observe and feel safe. A cat bed is essential, although some cat owners do allow their cats to sleep with them. If this is the case you still need to purchase a cat bed, so that your cat can use this throughout the day, for short cat naps, or at night. Continue feeding the same food your kitten is use to. Sudden changes in diet can cause stomach upset and diarrhea. Food and water bowls should be ceramic or metallic. If you will be out of the house for a long period of time, consider automatic food and water servers. The litter box should be placed somewhere with easy access for the cat. Do not place the litter tray close to busy areas. Do place it out of the reach of any inquisitive dogs or small children. Place the litter box on a hard surface; if you place it on a soft carpet, then they may mistake that carpet for the actual litter! Continue to use the same litter your kitten is use to. When switching from one type of litter to another, fill half the box with the old type and the other half with the new type. Cats are born hunters, and they also like to play. 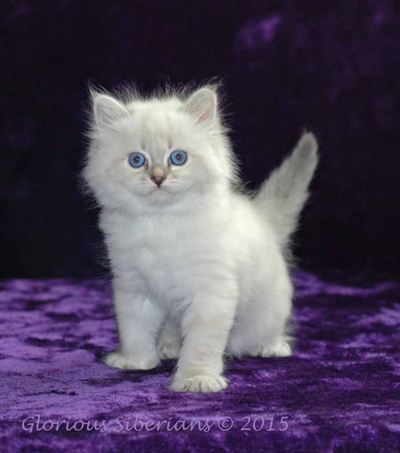 Playing offers you, as the owner, the opportunity to bond with your new cat and help kittens develop. There is a wide variety of toys available in all pet stores. Purchase toys based on your budget, your living situation, and what your new cat’s preferences might be. If you cat likes to chase things, then purchase a ball, or if it likes to lie on its back and claw things, then purchase dangling toys. If it is an older cat, dangling toys will be more effective, as an older cat is not always interested in chasing toys. But with a kitten, the sky really is the limit! 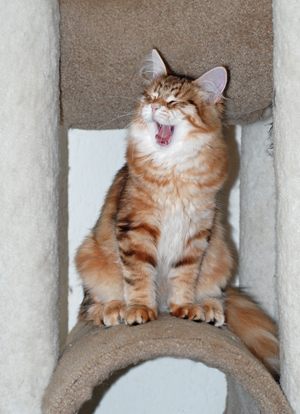 A cat carrier is a necessity, even if you are planning on keeping your new cat indoors. Trips to the vet are necessary on numerous occasions also, requiring the use of a carrier. A cardboard carrier can be used as a short-term solution, but it can’t compare to a sturdy plastic carrier that will give your cat comfort and security during travel. 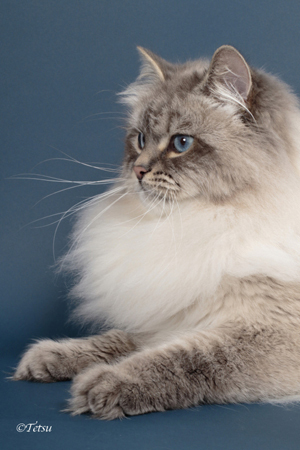 Grooming is one of the most essential parts of your cats’ lifestyle. It is important to groom your cat on a weekly basis. Grooming is very important to your cat’s health, as it helps to prevent hairballs and overgrown nails which can be problematic. You need to ensure that you purchase a fine-toothed comb and a rubber-backed pin brush for brushing. You’ll need to purchase nail scissor which are especially designed for cats. 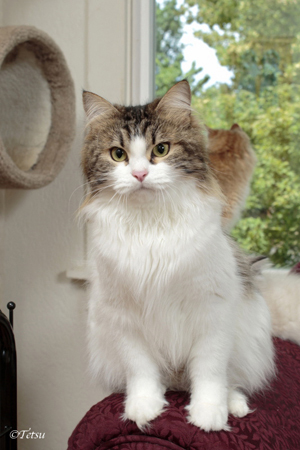 If your cat is accustomed to grooming, then it will enjoy it as much as playing. Cats do not like change. They are curious about new things in their world because they must determine if it is safe or a threat. 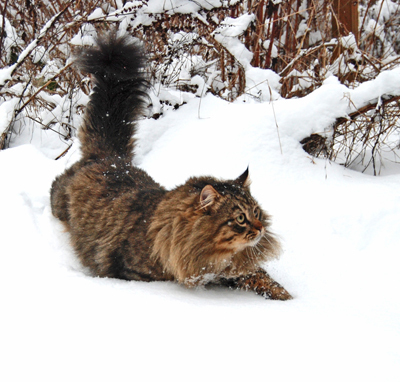 If you can, feed your Siberian at the same time each day, keep their litter boxes in the same location, and please do engage in regular playtime each day. 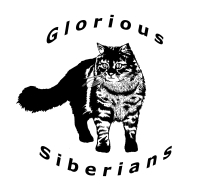 This will please your Siberian! Once you have established all of the above things, then you will no doubt have hours and hours of fun and enjoyment playing with your new pet cat. A cat is a very peaceful animal to have in your home and it delivers a vast amount of affection.